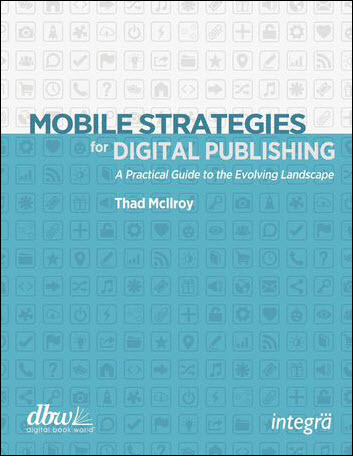 My new report, Mobile Strategies for Digital Publishing, is available now from all of the online ebookstores. I suggest to publishers and the software vendors serving them that they take 25 PCs for every tablet they want to ingest because that will be the ratio of PCs in use around the world for each tablet (by December/2012). Communication is as challenging as it ever was. The exchange was prompted by a post on Dan Gillmor’s excellent journalism blog on Salon.com. When I saw Dan on the Mac version I did the requisite Google search for an answer and got the usual spam-filled and out-of-date search results. Like David Pogue at the New York Times I’ve been using Dragon Naturally Speaking since before Nuance bought it (he wrote Mac OS X: The Missing Manual, Second Edition using Dragon on Windows). Unlike David Pogue, I could never get it to work satisfactorily. Until Version 11. It’s amazingly good. I’m 99% happy with it (the accuracy could always be better, but it is still miraculous). At the same time, I’m continuously besieged by my very-well-meaning Macintosh buddies to return to the Apple fold. I think they’re right, but after struggling with Dragon for a decade, I don’t want to step backwards. (Would the Windows version work just as well on a MacBook Air?). My guess is it’s mainly because Google is now worthless for most product searches: it has been too thoroughly gamed by the SEO hordes. A Google search of blogs on “‘Dragon Naturally Speaking’ AND Nuance” produces just garbage and noise.